“NASA’s Opportunity rover begins its 16th year on the surface of Mars today. The rover landed in a region of the Red Planet called Meridiani Planum on Jan. 24, 2004, sending its first signal back to Earth from the surface at 9:05 p.m. PST (Jan. 25, 2004, at 12:05 a.m. EST). The golf-cart-sized rover was designed to travel 1,100 yards (1,006 meters) and operate on the Red Planet for 90 Martian days (sols). It has traveled over 28 miles (45 kilometers) and logged its 5,000th Martian day (or sol) back in February of 2018. Opportunity’s last communication with Earth was received June 10, 2018, as a planet-wide dust storm blanketed the solar-powered rover’s location on the western rim of Perseverance Valley, eventually blocking out so much sunlight that the rover could no longer charge its batteries. Although the storm eventually abated and the skies over Perseverance cleared, the rover has not communicated with Earth since then. 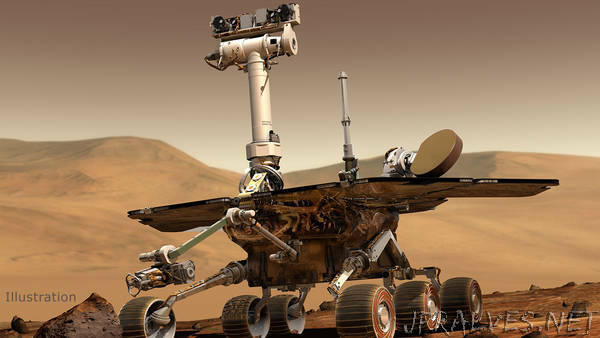 However, Opportunity’s mission continues, in a phase where mission engineers at JPL are sending commands to as well as listening for signals from the rover. If engineers hear from the rover, they could attempt a recovery.